Earlier this month, Cambridge released an open letter responding to a Financial Times article which accused the University of having a “dearth of black students”. Rather than addressing the article’s claims directly, however, the letter diverted towards the University’s broader ‘diversity’ strategy, a vague, bloated term that encompasses not only race but “gender, socio-economic background, geography, age and disability”. The letter comes across, quite frankly, as tone-deaf. ‘Diversity’ is not the same as black representation, or even BME representation more broadly. Marginalisations based on race are distinct from those based on gender or class, and they can’t all be lumped into the same nebulous ‘widening participation’ strategy. Ultimately, as CUSU Access Officer Olivia Hylton-Pennant stated in her response to the letter, the University “has no clear plan to increase the number of British BME students”. Of the various access initiatives raised in the letter, only one – Target Oxbridge – is explicitly aimed at increasing representation of a BME group. It is worth noting that even this initiative is outsourced – Target Oxbridge is run by Rare Recruitment, not the universities themselves – and much of the work done to improve BME access in Cambridge is undertaken by students rather than the University itself. From college BME open days initiated by JCR officers, to the CUSU Caribbean Students’ Conference and the African Caribbean Society’s photos of black men and women at Cambridge, it is often BME students themselves who are left to fix the University’s representation problem. These students should be applauded, but the simple fact is that this shouldn’t have to be their burden to bear. The University needs to demonstrate that it has its own centralised plans to increase BME representation. It needs to investigate, for example, why there is so much variance in BME representation between colleges, and how to fix those disparities. Only a handful of colleges currently hold BME open days – why not make it compulsory for all colleges? The University also needs to consider whether the admissions process itself has a problem. Studies show that BME applicants to Russell Group universities are less likely receive offers than white applicants, even when they have the same grades and pick the same courses. Cambridge academics are not immune to unconscious bias and other kinds of subtle cultural prejudices which disproportionately benefit white applicants – the University must address these. Another issue that must not be ignored is the existence of disparities within the wider ‘BME’ umbrella. The experiences of different racial groups are not the same and cannot be flattened into a single, uniform ‘BME experience’. Consider the fact that, while the overall black student intake in Cambridge has more than doubled from 28 in 2012 to 58 in 2017, the black Caribbean intake remains stagnant (seven in 2012, six in 2017). The University needs to understand the reasons for these inequalities, and how different groups might respond to different kinds of outreach. Cambridge is already taking steps in the right direction. 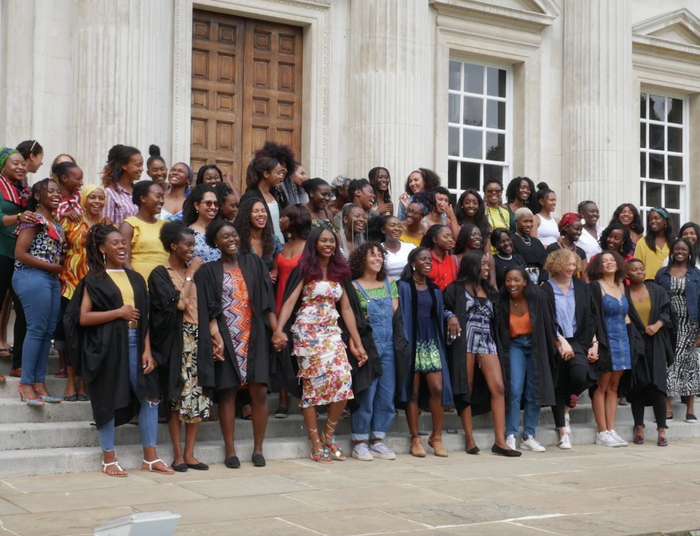 For example, it recently shared a Facebook video about the ACS’s black women of Cambridge photoshoot. This kind of visibility is crucial. Last term, the BME campaign ran a series of mingles during the shadowing scheme; I spoke to a group of BME sixth formers at one session who told me they were more likely to apply to Cambridge having just met people who looked like them studying there. Positive images like these are perhaps the University’s best tool in showing hesitant BME applicants that they do, in fact, have a place here. BME underrepresentation cannot be addressed as a homogenised part of a general ‘diversity’ problem. It is its own unique issue which requires its own unique solutions. To fix it, Cambridge needs a comprehensive plan of action which cuts across colleges and works alongside, without imposing upon, BME student groups. Concrete action like this could make a real difference; a defensive, platitudinous open letter will not.